A: Windows Server is a server operating system from Microsoft Corporation. Unlike, UNIX-based operating system, Windows Server offers ease of management through its interface. The Windows Sever web hosting environment supports major Web programming languages and databases such as PHP, MySQL, ASP.NET and MS SQL. Q: What are the advantages of Windows Server? Q: What are the disadvantages of Windows Server? A: Unlike UNIX, Windows Server requires more system resources. You need a powerful machine to run Windows Server. Windows Server does not have a good reputation in term of server stability. Windows Server needs reboot more frequent than UNIX. If you are using Windows Server hosting services, you may find yourself investing a lot of money in the development tools. Most of them are Microsoft products. The costs of applications that can run on your web site are usually higher than that of UNIX. For example, you can find a lot of free scripts to run web board, chat room, web stats, email (and more) for your UNIX-based web site, but you won't find many free applications in Windows Server world. Q: What is the difference between Windows Server and UNIX? A: Microsoft Windows Server and UNIX (of which there are many varieties, or flavors, including Linux, AIX, Solaris and more) are computer operating systems. Both Windows Server and quality UNIX implementations are enterprise application servers that can be used for a variety of critical purposes, including, but not limited to, Web, email, and database hosting. Windows Server was developed by Microsoft and is, in many ways, the flagship of their software solutions. UNIX's development roots begin about thirty years ago - jointly at Berkeley University and AT&T Bell Labs. UNIX is often referred to as an "open system", which means that its source code is publicly available. This has both its advantages and disadvantages. While it has allowed many thousands of developers from all over the world working for different companies to contribute to its development, it is also more complex and less coordinated. The popular cPanel control panel only runs on UNIX. It's the most widely used control panel due to its low price and ease of use. 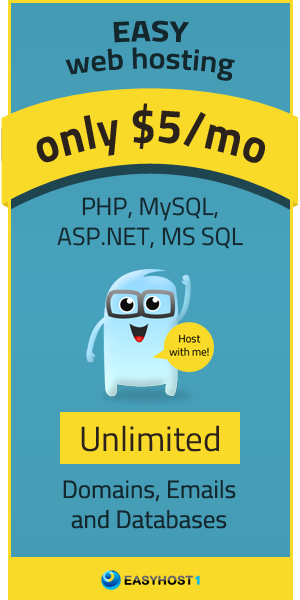 You will usually find a low-cost hosting package on cPanel/Linux platform. The web hosting control panel is the web-based tool that allows users to manage domain, hosting account, FTP, email, database and all other features. The choice for the control panel is quite limited for Windows Server. Parallels Plesk is the most widely used control panel for Windows Server. Both of these operating systems make excellent platforms for mission-critical Web hosting, and they function well. The bottom line is that for many web sites the operating system on which the Web server is housed is largely inconsequential. The real question is, "Are you using a specific web site or database technology that is more appropriately hosted on Windows Server instead of UNIX (or vice versa)?" If your web site does not require special features offered by UNIX or Windows Server, you can choose either Windows Server or UNIX to serve your web site. It doesn't matter!